There is an unconscious evening ritual I have that I just recently discovered, perhaps you do it too. At some point before I rest my head, I’ll open my calendar app and increase or decrease my stress level depending on the amount of meetings I have slated for the next day. Meetings, to borrow a phrase from my teenage niece, I can’t even. It isn’t that I don’t like the idea of meetings, it’s just that the execution of meetings is often faulty, awkward, and inefficient. With an introverted + Type-A personality, I often find myself thinking about how meetings could be better. Here are 4 strategies I’ve tried to implement in my meetings to solve some of those meeting issues that we all run into every day. I never head out on a trip without my GPS or a set of directions. If I forget one of those things, I lose track and just sort of wander. So, why is it commonplace to have hour long meetings without an outline of what is to be covered? Yep, these meetings tend to lose focus and just kind of wander. I’ve heard of executives who won’t attend meetings without being provided an agenda first. While I’m not there yet (clients definitely wouldn’t dig it), everyone in our organization creates agendas before our meetings, and we often request them when we are attending outside meetings. We always handle this politely, and everyone wins when even a rough agenda is in place. Meetings should drive action, so tracking and assigning out action items is great. I always make sure that either myself or someone else in a meeting is tracking the to-dos and the person assigned to complete them. I also ensure that pertinent points are being noted down and are sent out at the end of the meeting. It is such an easy and valuable thing to do. Meeting minutes don’t have to be anything fancy, just something to jog people’s memories or fill in people who weren’t able to attend. It has been really useful for us to be able to refer back to old meeting minutes. 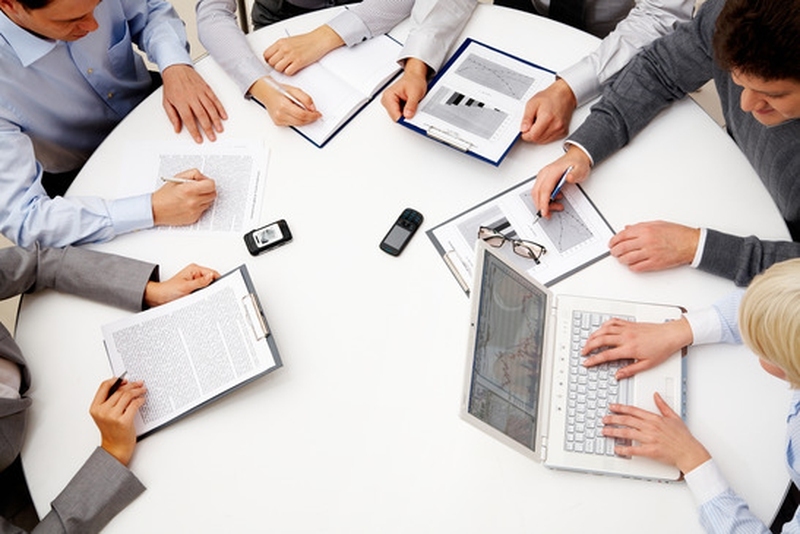 There are a lot of different software tools to help make meetings more effective. Where possible, I try to use video for my meetings – it works better than calls because you can pick-up on crucial non-verbal communication. We use Sqwiggle for team meetings and Skype or Google Hangouts for meetings with people outside of our organization. We also use Attentiv, a meeting management tool, to centralize our agendas, notes, and action items. It also allows us to send questions to attendees in real-time and gather quick feedback. It saves us time and also gets us more honest and detailed opinions rather than people nodding along so as to not be a dissenting voice. If nothing else, people pay attention to the questions! Why are 98% of meetings scheduled for either 30 minutes or 60 minutes? Parkinson’s law applies here – the work expands to fill the allotted amount of time. If I suspect a meeting could and should be faster, I’ll schedule it for 15 minutes instead of 30, or perhaps 40 minutes instead of an hour. Is it quirky? Yep! But it works! These are the meeting tweaks I’ve made that have had a measurable impact in the effectiveness of our meetings. We’ve tried some stuff that hasn’t worked (walking meetings, for example), but the key for us is to keep trying to make meetings better. Slowly but surely my stress level is being reduced even when I have a full slate of meetings scheduled.